Edge Water Entertainment Credenza Estate Black By Sauder. 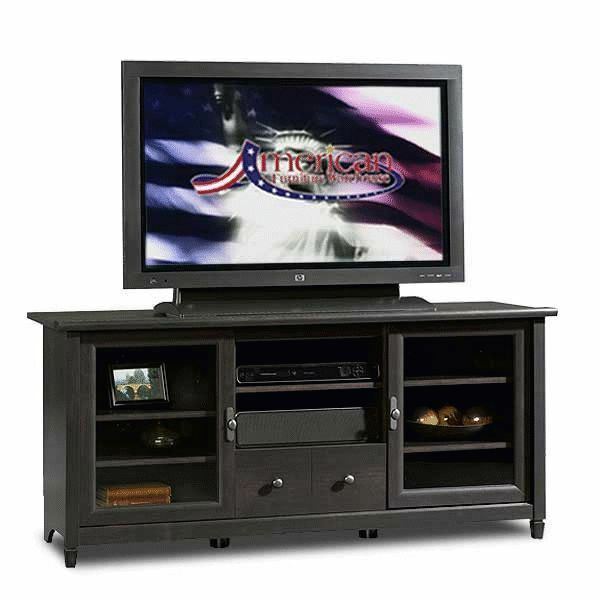 Accommodates up to a 55-Inch TV weighing 95 lbs. This TV credenza has an adjustable center shelf that holds audio/video equipment as well as two adjustable shelves, each behind a framed, safety-tempered glass door. A drawer with metal runners and safety stops featuring the patented T-lock assembly system contribute to the piece's functionality. This TV credenza comes in Estate Black finish.